In October, Sony Pictures Home Entertainment brought us Smurfs: Legend of Smurfy Hollow. My family loves it! Now, just in time for the holidays, they bring us a great stocking stuffer! Smurfs 2! My kids don't know that they have the movie already, courtesy of Sony Pictures Home Entertainment and every time they see the commercial for it, they ask to see it. Smurfs 2 came out to DVD/Blu-ray this week and I can't wait for Christmas morning to watch it with them. Not only is Smurfs 2 a 3D movie which we love, it also has the Smurfs: Legend of Smurfy Hollow included. The mini-movie is a an inspired tale by the classic tale of Legend of Sleepy Hollow. The Smurfs learn traditional values of friendship and family. Daddy's Little Girl: The Journey of Smurfette. Learn all about Smurfette’s “golden” past as we trace her origins back to Peyo’s stories, and how that in turn inspired the filmmakers as they were putting together this newest Smurf’s tale. The Evolution of the Naughties: The Tale of Hackus and Vexy – Meet the new characters, Hackus and Vexy, and hear from actors Christina Ricci and J.B. Smoove on what it was like to voice the Naughties. “The Legend of Smurfy Hollow” Mini-Movie: When Brainy Smurf is favored to win the annual Smurfberry Hunt for the ninth year in a row, Gutsy Smurf sets out to discover how Brainy wins every year. Gutsy’s investigation takes him into spooky Smurfy Hollow – and right into Gargamel’s trap! Can Brainy and Gutsy, with the help of Smurfette, put aside their rivalry before Gargamel captures them, or worse, will they come face-to-face with the legendary ghost, the Headless Horseman? Did you know that Gargamel is Smurfettes actual "father"? He created her to find out the Smurfs secret formula to turn Smurfs blue! In Smurfs 2, the evil wizard Gargamel creates two new characters, not too much different than the Smurfs. The new characters, the "Naughties" Hackus and Vexy are mischievious Smurf-like characters that he hopes will help him harness the magical Smurf-essence. He soon learns that he needs his daughter, Smurfette, to help turn the pair into real Smurfs. Gargamel and the pair kidnap Smurfette and bring her to Paris, France with Papa, Clumsy, Grouchy and Vanity chasing after them. 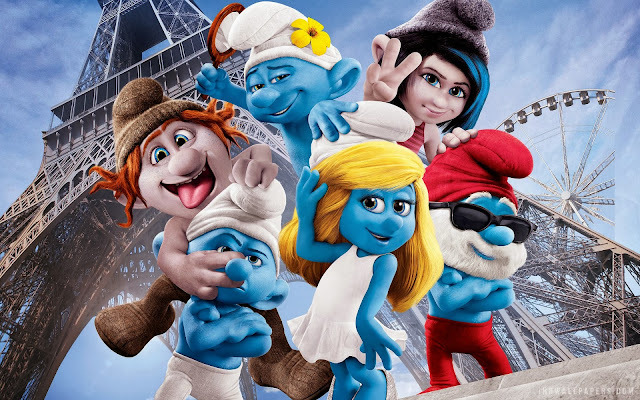 Papa Smurf and his Smurfs meet back up with their human friends, Patrick and Grace to help rescue her. 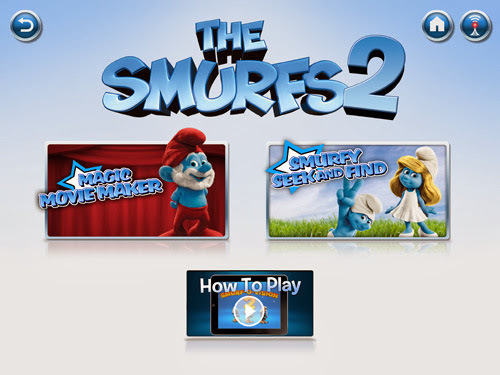 Also, check out the new Smurf-O-Vision app from Sony Pictures Home Entertainment! 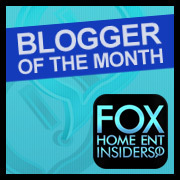 The app is available for free at the App Store for the iPad, iPhone and iPod Touch. The original was released in 2011 and had more than 800,000 downloads! The new app includes the Magic Movie Maker and Smurfy Seek and Find. You can purchase the DVD/Blu-Ray Combo pack at most of your local retailers such as Target or Walmart starting December 3, 2013. Growing up with the Smurfs, I love that I get the opportunity to share my love of them with my own children. DISCLAIMER: I received a copy of SMURFS 2 for the purpose of this review. All thoughts and ideas are my own. All photos are used with permission from Sony Animation Studios. Do not use any photos without permission.